When you find your soulmate, you dedicate your life to them. 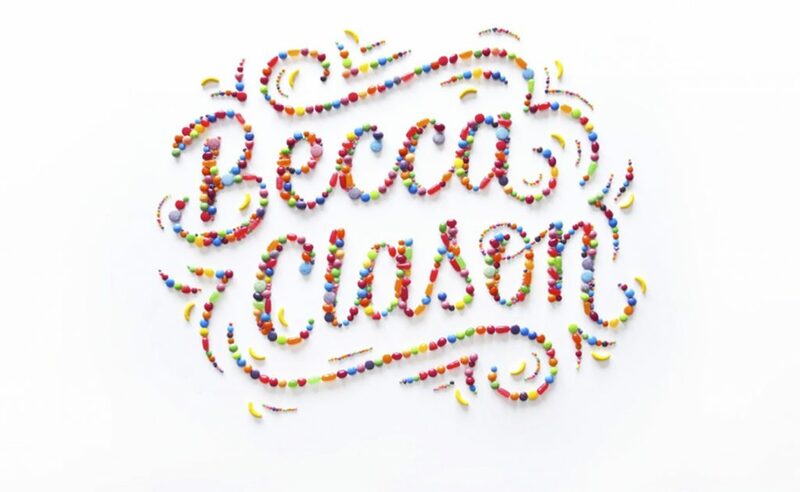 That’s Becca Clason and her intense relationship with lettering, in a nutshell. 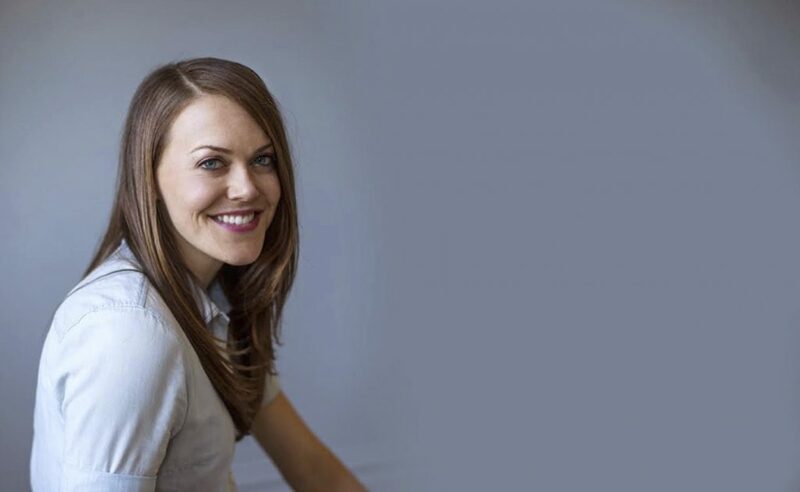 Becca is the designer behind the amazing animated teaser video for the session that Mike McCue, Flipboard’s Co-founder and CEO, is leading at the Cannes Lions festival on Sunday, June 19. 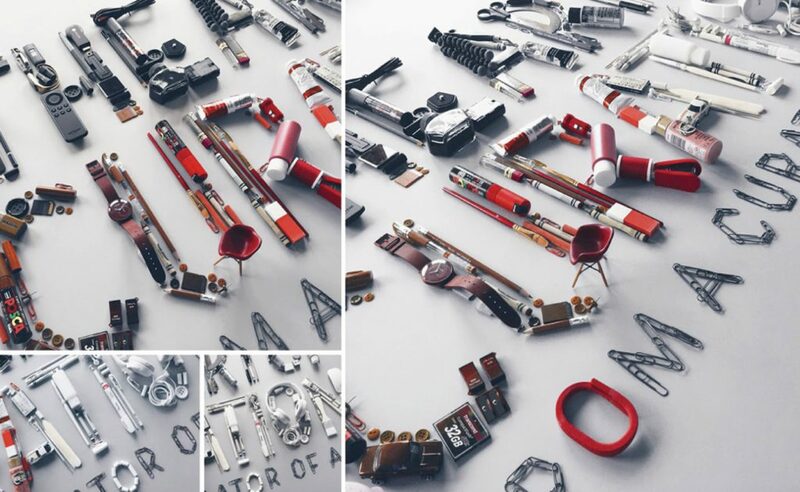 Today, we take a quick look at what drives a creative soul to devote herself to a difficult and very niche typographic technique. After growing up as a traditional graphic designer, what inspired you to make the jump to become a hand-typographer/branded content creator? In 2009, while working as a full-time graphic designer, I discovered lettering, and it was like finding a soulmate. I knew lettering was what I wanted to create for the rest of my life, so I got to work trying to learn how to do it and do it well. Over the years I’ve sketched, practiced, taught myself, and taken a few lettering and calligraphy workshops and classes. Two years ago, I finally stepped away from my computer to create, and I haven’t looked back. I had a garden in my backyard in Los Angeles, right before my husband and I moved to Salt Lake City. 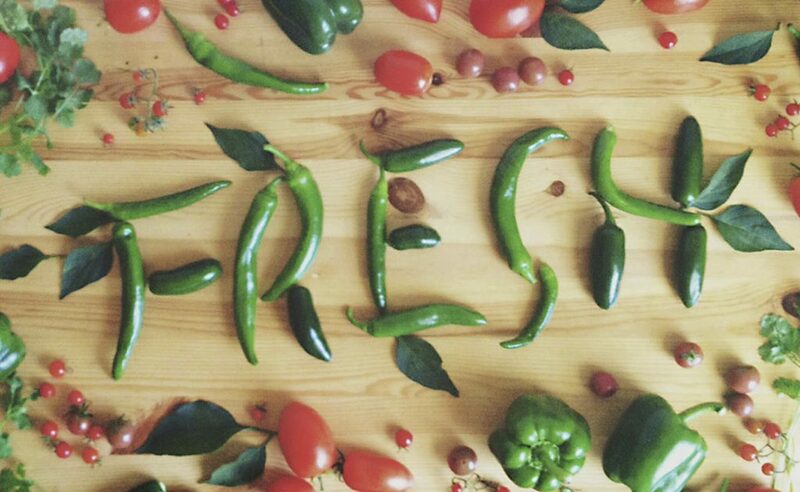 After picking a load of vegetables to make some fresh salsa, I set everything on the kitchen table, and on a whim I arranged the vegetables to make the word “fresh.” I styled some leaves and the rest of the vegetables around the word to make it look pretty, and I had so much fun doing it. I’ve always loved art directing photoshoots and styling as well as lettering, so I was hooked. At the end of 2014, I signed with a rep, and started working with bigger brands and ad agencies for my dimensional lettering as a part-time freelance artist. In August 2015, I began freelancing full time. It’s been busy and a lot of fun so far. Your work is not just compelling, it’s also very thoughtful. What’s your process like? When I’m doing a design for myself, just for fun, I don’t usually create sketches. I just feel things out and play with my materials. When it’s client work, first I’ll create a sketch and write a description of what the materials I plan to use. Then, if it’s going to be either a stop-motion or time-lapse video, I describe how I plan to animate it. Having that visual and information helps clients feel much more at ease before I begin production. It’s also helpful for me, because it saves time during production if I already know what I want the design to look like and how I want it to animate. My husband is a filmmaker and photographer, so he has a lot of directing experience, and he’s a big help at times when I’m not sure how I want something to animate. I bounce all my ideas and sketches off of him too, because he’s got a great eye for design. He had the thoughtful idea to curate the Flipboard time-lapse by color gradient, so I owe the success of that video to him! What inspires you day to day? Who’s doing it right? How do you get motivated and get your creative fix? Lately I’ve been loving the stop-motion videos that Meagan Cignoli and her team at Visual Country create. They really inspire me and push me to create better work. If I didn’t have my own full time freelance business, I’d want to work for her in NYC! You’ve been doing more and more videos lately, what’s the trick to creating a compelling online video? And then how do you get it seen? Color, brightness and contrast play a huge part in gaining interest and views. The video speed is also important: a stop-motion video or timelapse should play at an appropriate speed for the content, and that usually requires several hours of rendering and re-rendering on my end to make sure things are just how I want them. Ultimately, I want people to be intrigued enough that they replay the video. So I want each of my videos to tell a simple story and do it as smoothly as possible. I honestly don’t do much to get my designs and videos seen other than posting them to Instagram and adding a handful of relevant hashtags! I should probably do more now that I you mention it. What’s been your most challenging professional assignment to date? At various points over the past couple of years, there have been a few challenging projects that really pushed me to the next level in production and execution. I tell myself that the projects I’m scared to create are the ones I need to be creating, because they help me become better at what I do. The first time I felt scared in this way was during the spring of 2015 when I worked on a series of card art designs with the agency alldayeveryday for American Express. They wanted me to design three AmEx cards using various food items, and at the last minute they decided they wanted them to be stop-motion videos. I’d had very, very little stop-motion experience at that point, but I knew I could figure it out, and I did. Those designs are still some of the most popular ones I’ve done and they launched me into the world of stop-motion animation. I like to think I’ve gotten a lot better at it since then! Another challenging assignment was the time-lapse video for Flipboard. My first child was due to be born at any moment, but I really wanted to work on the project, so I went for it. It was challenging for me, mainly because of the scale of the items and amount of these props necessary to create the lettering. Most of my projects can be created on my production table, which is about 36″x72″. But the size of the materials for the Flipboard project required a much larger space. I was scared I wouldn’t be able to fit everything on the newly-created workspace I made for the project—while still using a lot of items for each letter. I wanted to make it look like it was curated and puzzle-pieced together, but luckily I was able to. With the selection of Flipboard’s panel to be live streamed, your collaboration with us has already proven to be a success. What did you like the most about working on The Art of Curation project for Cannes? I loved fitting everything together like a puzzle to form the letters while still making the gradient work as well. I also really loved working with non-food materials. Most of my projects are designed with food, so any chance I get to work with other materials is a blast. This project will always hold a special place in my heart because it ended up playing a crazy role in my son’s birth story. Yes, you guessed it…my water broke mid-production! All images courtesy of Becca Clason.